Like most men, Kevin Parker had always dated women his age or younger. Then after dating an older woman for a couple of weeks (now just a good friend, Elizabeth—Beth—Fairchild), Kevin developed a new perspective on love and romance. With his newfound insight, Shelby O’Sullivan catches Kevin’s eye. Confident. Funny. Beautiful. Getting to know her, he quickly realized that she is the woman of his dreams. Nine years older than Kevin, a history of less than amazing boyfriends, and a health history she feels is tarnished, Shelby O’Sullivan has avoided falling in love over the past several years. She doesn’t want to fall for Kevin’s southern charms and sinful good looks, but soon finds herself doing just that. 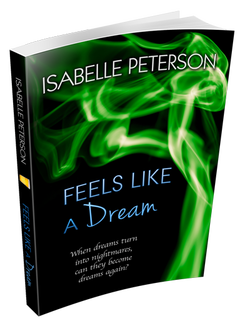 Is their romance a dream come true or a nightmare in the making? $4.00 Shipping & Handling will be added to the purchase price. CT customers, note that the mandatory 6.35% sales tax will apply. $20.00 Sipping & Handling will be added to the purchase price. **Other International Rates coming soon. If you are interested in this product from anywhere other than the US or UK, please send me a message via the Contact Me page. Thank you.